Sepsis is a major cause of morbidity and mortality globally, some occurring outside the hospital and some inside. The most challenging aspect of managing Sepsis is the timing of the diagnosis and the timing of its management. At Hiteks we have worked with our clients to optimize the diagnosis identification by looking at physician and nurse documentation as well as all the diagnostic, vital signs and medication data which indicate Early Sepsis, Sepsis, Severe Sepsis and Septic Shock. 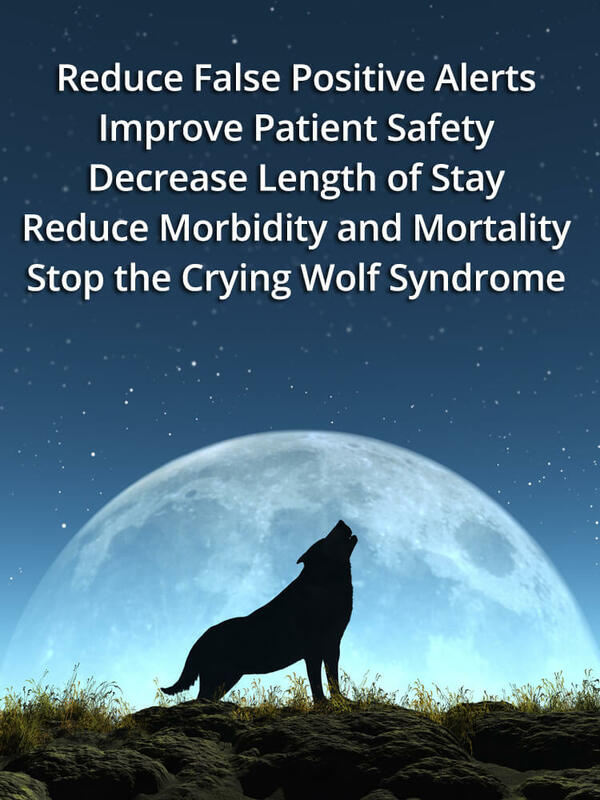 The result is a complete management solution which fills in the gaps of the EHR workflows and helps reduce false positive alerts currently plaguing the systems and their users with Crying Wolf Syndrome. Globally Sepsis is currently measured at about 30 million cases annually (Journal Reference). Complexity in the diagnosis of sepsis arises from the many different types of pathogens acting on different organ systems. The definition of sepsis also changes frequently and in 2016 organ dysfunction became a key factor in characterizing Sepsis. For Sepsis that takes place in the hospital or is found early in the Emergency Department from community-acquired causes, deaths are avoidable as long as patients are identified early and not missed. In many regions including the US and EU, Sepsis as an immediate life-threatening condition that should be identified and managed as an emergency. Designed as workflow-based alerts in a series of escalating prompts, automation of surveillance makes a difference. Hiteks advances the playing field of dealing with Sepsis (and other conditions like Heart Failure) by scientifically increasing the threshold for sending alerts to reduce false positives. Combatting alert fatigue, where doctors become desensitized to the high number of frequent alerts and then ignore or switch them off, allows us to identify more cases of true Sepsis and allow clinicians to act quickly to manage. Through a comprehensive knowledge base that has been tested against tens of millions of patient records, the early detection of sepsis without being hampered by signs and symptoms of the condition being similar to other disorders, is possible. Find out how we’ve achieved 100% sensitivity and 99% specificity and don’t unnecessarily disrupt workflow. Hiteks-integrated EHR alerts maintain their intended urgency and attention-grabbing power and contribute to a single source of truth among the EHR data by including the Hiteks-generated evidence into the encounter logs for systems like Epic. Find out more about our system today by visiting the links below and scheduling a demo. 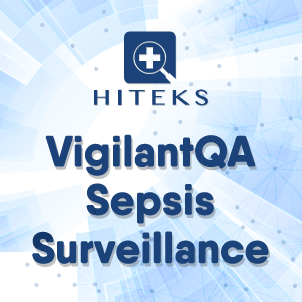 VigilantQA – Sepsis Surveillance is an accurate and fast real-time surveillance monitor within the EHR to reduce false positive alerts and automate the monitoring, intervention, abstraction and reporting of all cases of early sepsis, sepsis, severe sepsis and septic shock. When integrated within the EHR, VigilantQA improves the Positive Predictive Value of alerts from 10% to 90%, greatly reducing alert fatigue and increasing the timely identification of Sepsis and infection sources within the 3-hour window. Hiteks’ solution includes the ability for clients to adjust the thresholds of the sepsis algorithm so that it fits within each hospitals’ unique patient mix, including Pediatrics thresholds based on age ranges, and different settings such as Emergency, Floors and ICU. VigilantQA – Sepsis Surveillance reduces the false positive alerts within the EHR. EHR alerting can be fully automated and accepted by the clinicians to accurately reflect Early Sepsis, Sepsis, Severe Sepsis and Septic Shock conditions according to the latest CMS, MEWS and Surviving Sepsis Campaign criteria. Hiteks helps improve the positive predictive value of alerts by reducing false positives through identification of comorbidity, infection source and organ system dysfunction confounders which are known to cause alert fatigue. Confounding factors are presented to the clinician so that the system can accurately update the Time Zero or suppresses the alert due to the new information. As a result, higher usability and confidence in the alerts also increases the timely identification of sepsis and infection sources within the 3 and 6-hour windows. Included is a real-time abstraction for reporting module to reduce the time and resources required in the CMS reporting processes. Besides pop-up alerts, Hiteks integrates into other key workflow views of the EHR such as the Patient List Screen through a separate column, and management steps including the “Evidence” and “Next Steps in Management”. The Sepsis algorithm can be configured differently based on adult and pediatric patient type and hospital setting such as ICU, NICU, PICU, Emergency Department, Post-Op, or the floor. Contact us for information on our products and services. For those who schedule a demo, we offer a complementary yoga mat to promote good health and wellness.